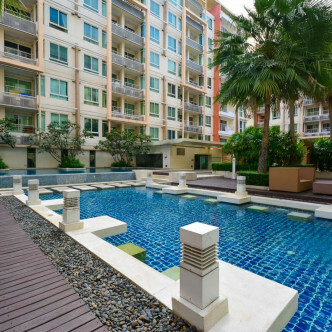 With just under four hundred units, the Ivy Ratchada offers residents plenty of choice, while it comprises several buildings each consisting of eight floors set next to each other. 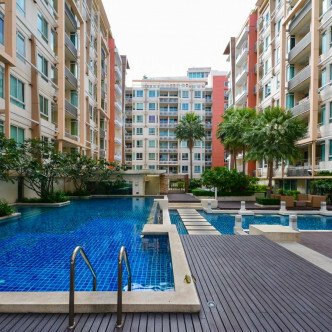 Each of the units features a spacious balcony, many of which face the collection of swimming pools that are set in a central courtyard. 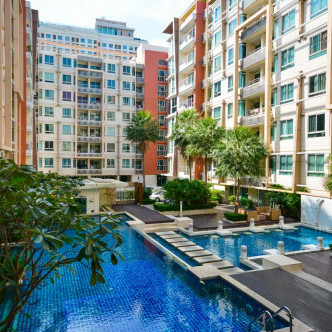 This courtyard gives Ivy Ratchada a real feeling of community and is the perfect place to unwind and meet other residents. 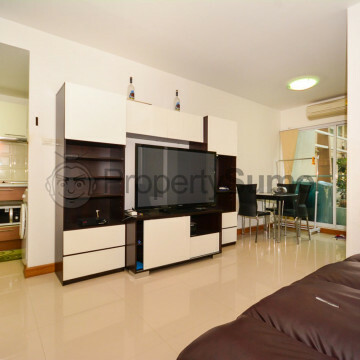 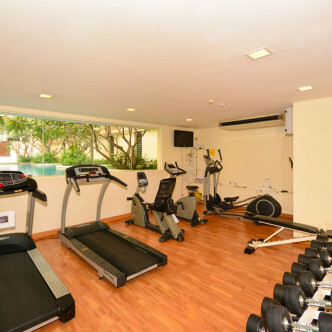 The fitness centre is set in a separate air conditioned room that also overlooks this courtyard, while other facilities that can be found here include a sundeck and a luxurious Jacuzzi. 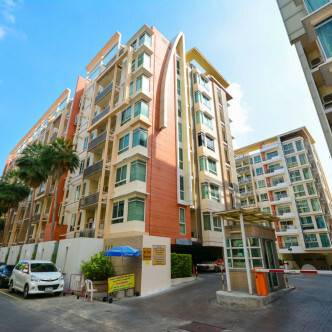 The Suttisan MRT station is just a five minute walk from Ivy Ratchada, which makes it a convenient location for accessing the rest of the city. 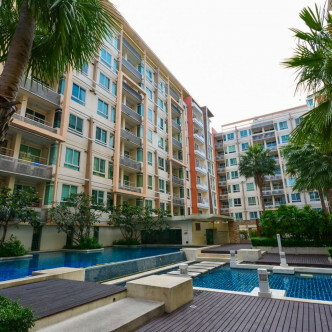 This charming neighbourhood features a large number of schools that cater to international children of all ages, while the Thai and Western shops and restaurants provide everything that families need right on their doorstep.